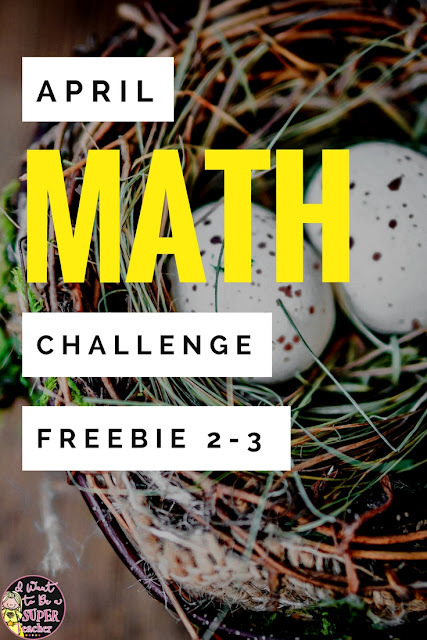 This Easter math freebie includes two spring math printables for your 2nd and 3rd grade kids. These free math worksheets are perfect for math enrichment, centers, morning work, homework, early finishers, or number talks. It’s April! Get ready for testing (blurg), Cadbury eggs (yum), and maybe even Spring Break (lucky). These April math challenges have a chocolate bunny theme so you can use them before Easter, or any time you want to engage your second or third grade kids with some chocolate math yumminess. In these Easter math activities students are given three sizes of chocolate bunnies and are then asked to determine all possible combinations of bunnies that equal a given weight. These math problems are focused on converting ounces to pounds, finding all possible combinations, and logical thinking. will these work for students at my grade level? Fourth grade math standards are included because these are meant to be challenging, above grade level problems. What’s Included in the free download? In the free April Math Challenge PDF, you’ll find two math challenge pages, answer keys, and lined pages for students to write about the strategies they used to solve the problem(s). These are similar problems on two different levels, so all of your students can find one of the problems to be an appropriate “just right” challenge. Want some super easy differentiation? Copy one problem per side, have students choose the level that fits them best, and voila! You’ve differentiated your instruction. Great job Super Teacher! You can also use these as problems for math enrichment learning contracts. Click here to learn more about math contracts at the blog. Where can I find the free April Math Challenges? This freebie is now available at the TpT store. You can hop over to TpT and download it HERE. This math resource was first shared with the Super Teacher email list. You can sign up for the Super Teacher emails HERE to get first dibs on exclusive freebies, classroom ideas, and flash deals for your 2nd or 3rd grade classroom. Emails go out every Friday morning! Need more April math activities? Feeling generally exhausted by all the spring craziness? If you want more print & go activities to keep your little chickadees busy all month long, try the full set of April Math Challenges & Brainteasers. This includes 26 math problems with April & spring themes like: Easter, April Fools’ Day, eggs, bunnies, candy, rain, baseball, lambs, and Spring Break. 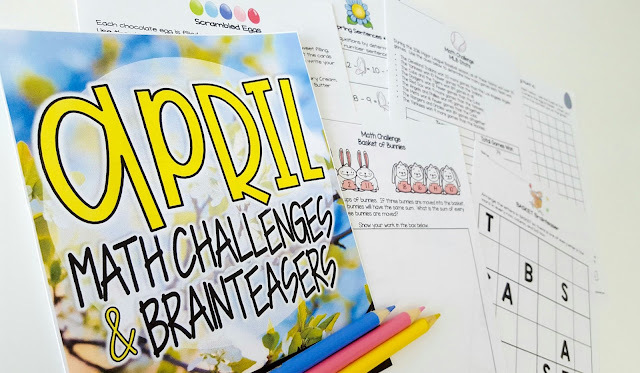 You can find the April Math Challenges & Brainteasers HERE at the blog store or at the TpT store HERE. Not ready for chocolate bunnies quite yet? You can pin the April Math Challenges HERE and save them for later.